Thank you to Eric Nelson of Nelson Automotive for once again donating to the Park Ridge Community Fund. Mr. Nelson presented a check for $7,500 to Sheri Roche, the president of the Park Ridge Community Fund Board. Also in the picture are Police Chief Frank Kaminski and Gail Wolf who are both directors on the PRCF Board. Mr. Nelson is the largest single donor to PRCF. Read more about Mr. Nelson in the Park Ridge Herald Advocate. In recognition of his generosity and commitment to the local community, Mr. Nelson has been nominated as a Community Star. Please help us celebrate his accomplishment at the Night of Stars gala at Café la Cave Saturday, Feb. 16, from 5:30 to 11:00 pm. 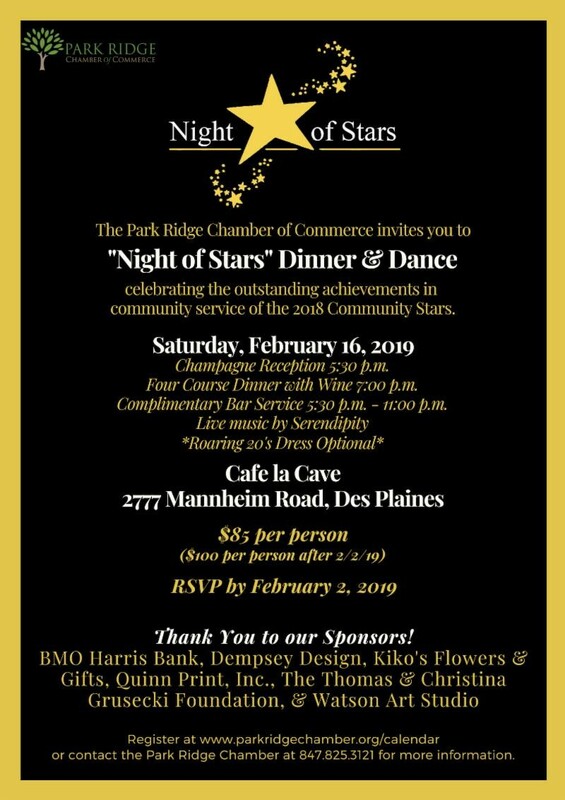 For more information on the gala is available on the Park Ridge Chamber of Commerce calendar.